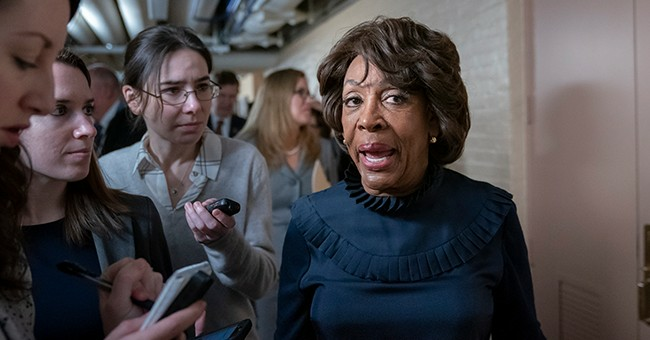 Six Democratic Congressmen who chair various committees on Friday sent a letter to Attorney General William Barr letting them know their expectations of the Muller report. After nearly two years of investigation — accompanied by two years of unprecedented attacks on the integrity of the investigation by President Trump — the public and Congress are entitled to know what the Special Counsel has found. Reflecting the will of the American people, the House of Representatives voted 420-0 last week for the full release of the Special Counsel’s report to Congress and the American people. Earlier this week, President Trump himself endorsed making the report available to the public. The Justice Department must now release to the public the entire report submitted by Special Counsel Mueller to the Attorney General. This report is required under the Special Counsel regulations, and we expect the Attorney General to release it without delay given the profound public interest in the full disclosure of information learned by the Special Counsel. Consistent with the Justice Department’s past practice and to ensure Congress can discharge its constitutional responsibilities, we also expect the underlying evidence uncovered during the course of the Special Counsel’s investigation will be turned over to the relevant Committees of Congress upon request. To be clear, if the Special Counsel has reason to believe that the President has engaged in criminal or other serious misconduct, then the Justice Department has an obligation not to conceal such information. The President must be subject to accountability and if the Justice Department is unable to do so, then the need to provide Congress with the relevant information is paramount. Because the Justice Department maintains that a sitting president cannot be indicted, to then withhold evidence of wrongdoing from Congress because a sitting President cannot be charged is to convert Justice Department policy into the means for a cover-up. Anything less than full transparency would raise serious questions about whether the Department of Justice policy is being used as a pretext for a cover-up of misconduct. The President is not above the law and the need for public faith in our democratic institutions and the rule of law must be the priority. Individual members took to their social media accounts to reiterate their position that the Mueller probe must be made public because "transparency is key." Just from the statement, it's looking as though Democrats are going to insist the Justice Department is covering up wrong doing if Robert Mueller's report indicates there was no collusion between President Donald Trump's team and the Russians. Remember: we still don't know what's in Mueller's report.